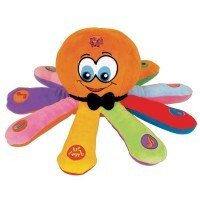 The smiling octopus from Baby Einstein will keep your baby composer busy with music learning activities! A little maestro in-the-making? You just never know! 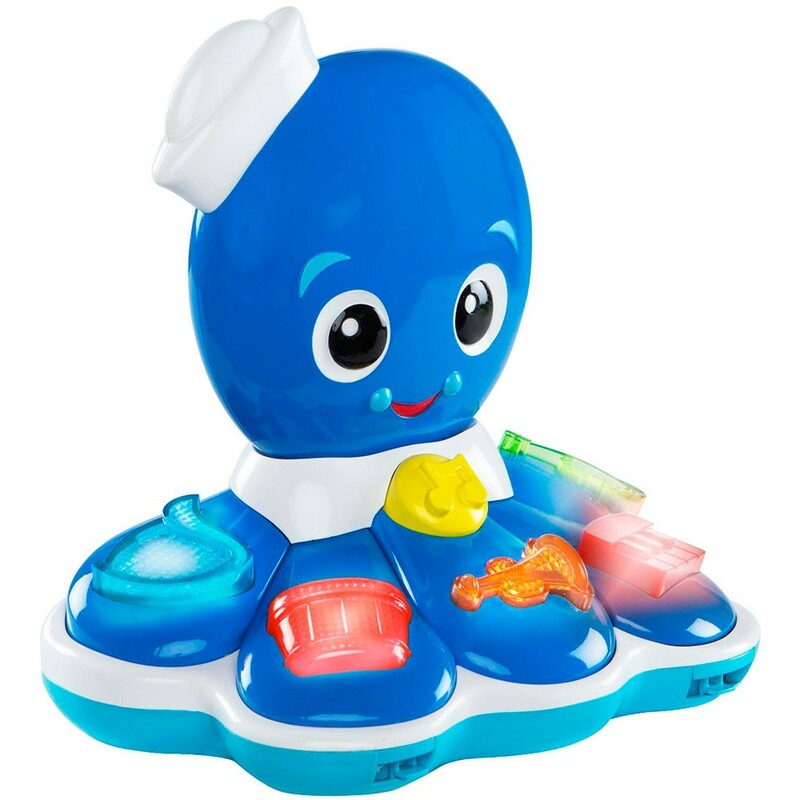 With 2 modes of play, this Baby Einstein Octopus Orchestra Light & Sound Toy invites baby tune in to the beneficial sounds of classical music. 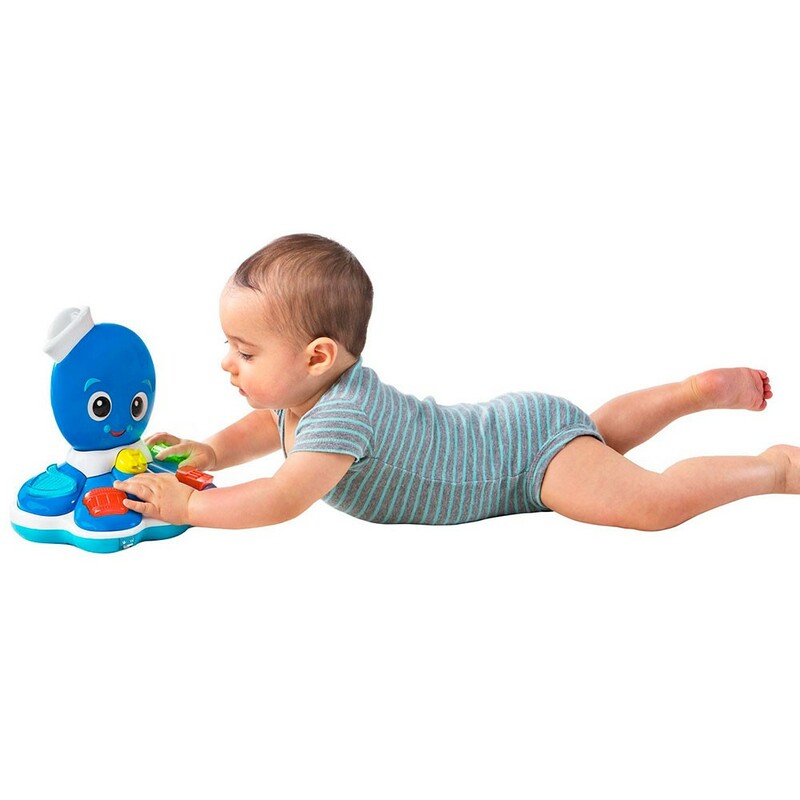 In Discovery Mode, baby can hear the names of different instruments in English, Spanish, and French, and their sounds In Composer Mode, babies create their own masterpieces by adding and subtracting instruments. 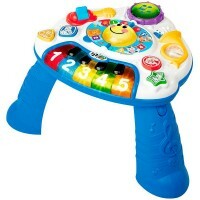 With the press of another button, baby can kick back and enjoy the sounds of a full symphony. 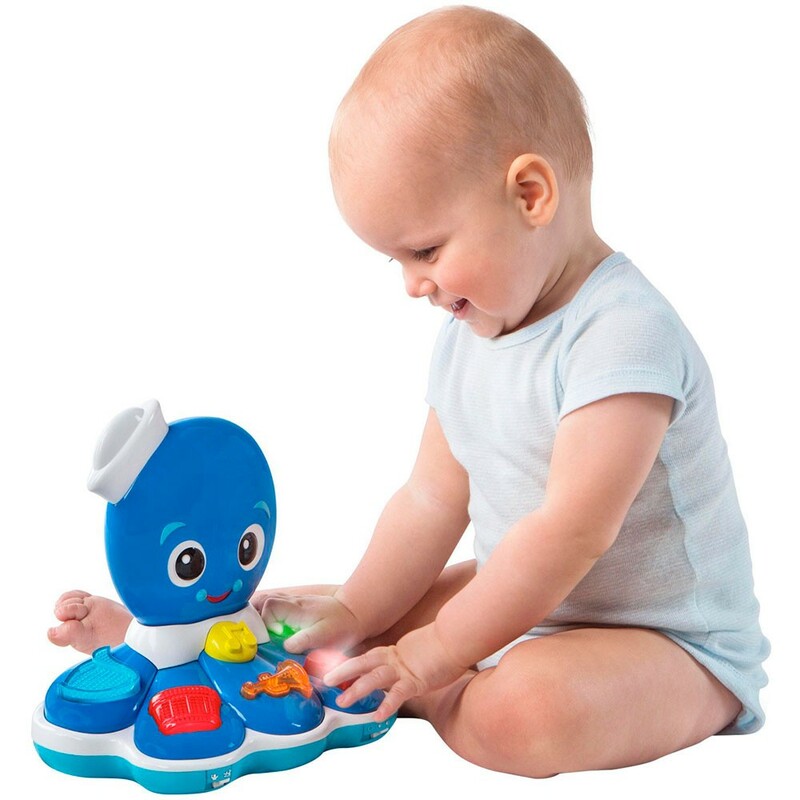 The buttons of this Educational Toys Planet's music activity toy are large and light up when activated, so it's easy for baby to use and understand. 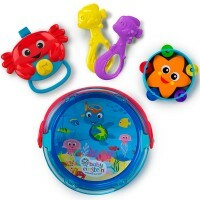 Dimensions of package 5" x 9" x 8.25"
Write your own review of Baby Einstein Octopus Orchestra Light & Sound Toy. Rating: 5 Not well made by By A customer It was ok ?!?! 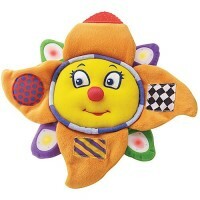 Rating: 2 Hunk of plastic with flashing lights. by By A customer I wanted to love this!! 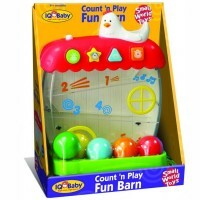 My baby is attracted to this toy and likes playing with it. It fails mom’s (my) expectations. There is a strange scuba mask on its head that does nothing— it is not a mirror or drum or anything. Likewise the flippers do almost nothing. They have a tiny bit of wiggle but not enough to represent a turtle swimming. The sound quality was faint or too loud— speakers are on the belly. Also the speakers are now failing and it sounds like a haunted carnival ride with too much base. 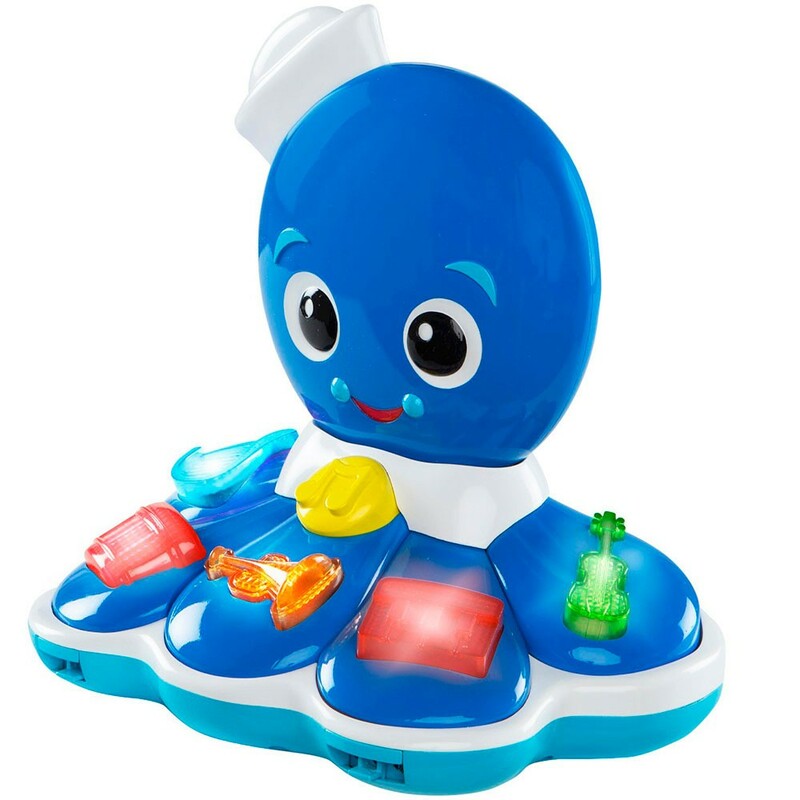 The two learning features are lost on my toddler, who has mostly learned to push buttons to make lights flash.Essentially this is a hunk of plastic with flashing lights and loud music. Rating: 5 Love it! by By A customer So cute! Worth the wait on backorder!!! 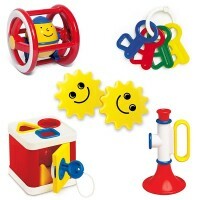 Rating: 3 Looks Used by By A customer This toy arrived looking as if it had been used. It had dirt smudges, scratches, you name it. It also took 2 months to arrive. 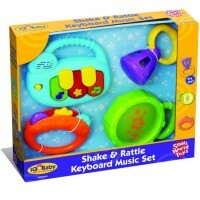 It was suppose to be a Christmas gift for my son. I didn’t mind waiting for it, but when it arrived looking used and abused I was extremely disappointed. Rating: 5 Love it! Would definitely recommend! by By A customer I love this toy! 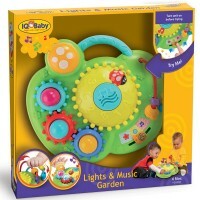 It has fun colors and lights! The songs are classic and upbeat and there are so many different songs that aren’t annoying. 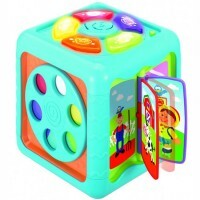 LolIt hold my 5 month olds attention and the buttons are easy to push. 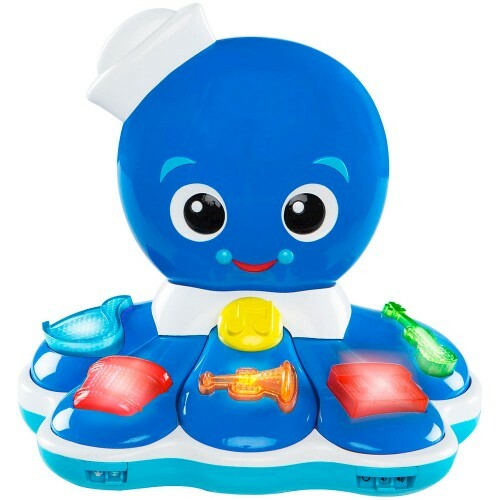 I bought it hoping it will help enhance tummy time.It has a feature where you can push one instrument button at a time and it will add in each instrument to the song. It’s fun. Rating: 5 Awesome product! by By A customer My son loves this!! He would get so bored on his tummt but is entertained and content now.